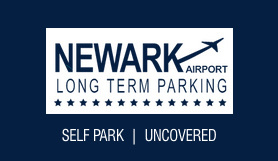 Newark Airport Long Term Parking offers competitive rates on both short stay and long term options. The service is fast, friendly and transportation to your departure terminal is provided for your convenience. Upon your return customers can call a toll free number and can expect to be picked up within 10 minutes and returned directly to their vehicle. Oil change :- This location has qualified technicians that will change your oil and perform basic maintenance on your vehicle while you are gone. Car detailing :- Car Wash & detailing options available to book on arrival. Luggage assistance :-drivers are available to help you lift and carry your luggage on and off our shuttles. Drop your car off at our lot entrance, jump in the shuttle, and you're on your way. Please arrive 10 minutes before you wish to be at the airport. After you receive your bags, call the toll free number on your claim check. We will be there to pick you up within ten minutes. Pick up at the passenger pick-up islands. From The N.J. Turnpike: Take Exit 14 (Newark Airport) STAY RIGHT at tolls. Go through toll plaza make SECOND right onto FRONTAGE ROAD. At end of ramp and make a right turn... Follow road 1/2 mile to fork. Stay left at fork. Go past Howard Johnsons entrance. NEWARK AIRPORT LONG TERM PARKING Entrance at end of road on left. From Route 78: Take 78 east to exit 58 B (Routes 1&9 North) (last exit before toll). Stay right and follow sign for FRONTAGE ROAD. Follow FRONTAGE ROAD over bridge and at the bottom of the hill make a right. Go 1/4 mile. NEWARK AIRPORT LONG TERM PARKING Entrance at end of road on left. From The Garden State Parkway North: Take the Parkway to Route 78 East. Follow directions from Route 78. From The Garden State Parkway South: Take the Parkway to exit 142, Route 78 East. Follow directions from Route 78. From Routes 1 & 9 North: Take 1 & 9 North, Local Lanes. Follow FRONTAGE ROAD over bridge and at the bottom of the hill make a right. Go 1/4 mile. NEWARK AIRPORT LONG TERM PARKING Entrance at end of road on left. From Newark Airport: Follow Airport Exit to Routes 1 & 9 North. Stay on 1 & 9 North to the FRONTAGE ROAD EXIT. Follow FRONTAGE ROAD over bridge and at the bottom of the hill make a right. Go 1/4 mile. NEWARK AIRPORT LONG TERM PARKING Entrance at end of road on left.